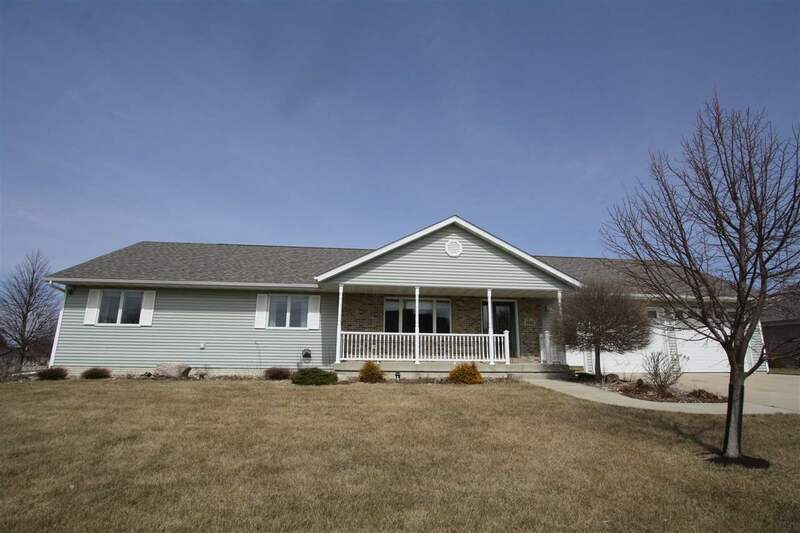 This impressive four bedroom, three bath ranch home sits on a cul-de-sac on Oelwein&apos;s east edge, with over 4000 finished square feet. Custom-built, this property shows attention to every detail. The kitchen features an island with bar seating, granite countertops, and hardwood floors, while the family room has vaulted ceilings and a fireplace with access to the patio. In addition to a spacious hall bath and two bedrooms, the master suite has a jet tub as well as a tub/shower combo. The lower level has a stone wet bar, as well as an additional fireplace, 3/4 bathroom, conforming bedroom, and a bonus room that was previously used as a workout room. Take into account the roof that&apos;s only a year old, geothermal heating and cooling, and heat recovery ventilation, and this property is definitely one of a kind. Call today to find out more!